Every Friday, an author or an illustrator drops by to celebrate books and reading with me. 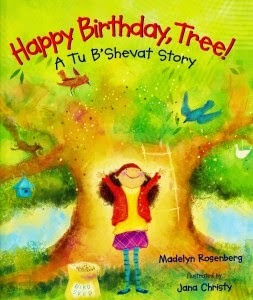 This week's special guest is author Madelyn Rosenberg. We chatted about tea parties, Nanny X, school libraries, and public speaking. I wrote the words in red, and she wrote the words in black. Thank you, Madelyn! Julia’s little brother taught me a lot of things I wish I’d learned in kindergarten. Almost everyone in my family is Type A, like Charles’ older sister Julia. I’m Type A, along with my mother, my husband, my kids, and one of my two cats. When my kids were younger, I watched them struggle with all of the things they couldn’t control, and then I promptly tried to control the way they responded to those things. (It didn’t work. This probably doesn’t surprise you.) Anyway, I needed to find a guru who had a more relaxed view of the world, someone who was full of beans and could turn things upside down and show me (and Julia) that upside down was okay. That was Charles. Heather Ross’ illustrations are the chocolate layer on the birthday cake. And the strawberry layer, too. I’d admired Heather’s fabric work and when I found out that she was going to be illustrating How to Behave at a Tea Party, I couldn’t imagine it in anyone else’s hands. The expressions on Julia’s face are perfect (“angry Julia” is my favorite), and each time you study the pages, you find something new. Also, at the risk of sounding like Ron Popeil: But wait, there’s more! Heather and I have a second Julia and Charles book coming out next year. It’s called How to Behave at a Dog Show and I’m pretty sure this is the first time I’ve mentioned it in public. I just saw the illustrations. Once again, there’s magic in the details. This is the first sentence of Nanny X, a middle-grade novel about a special agent nanny and her three charges (four, if you count the dog). It’s also the first line of the novel that prompted me to buy a pair of mirrored sunglasses, which I’ve clearly needed for some time. Nanny X and How to Behave at a Tea Party both came out this month, though they were written years apart. 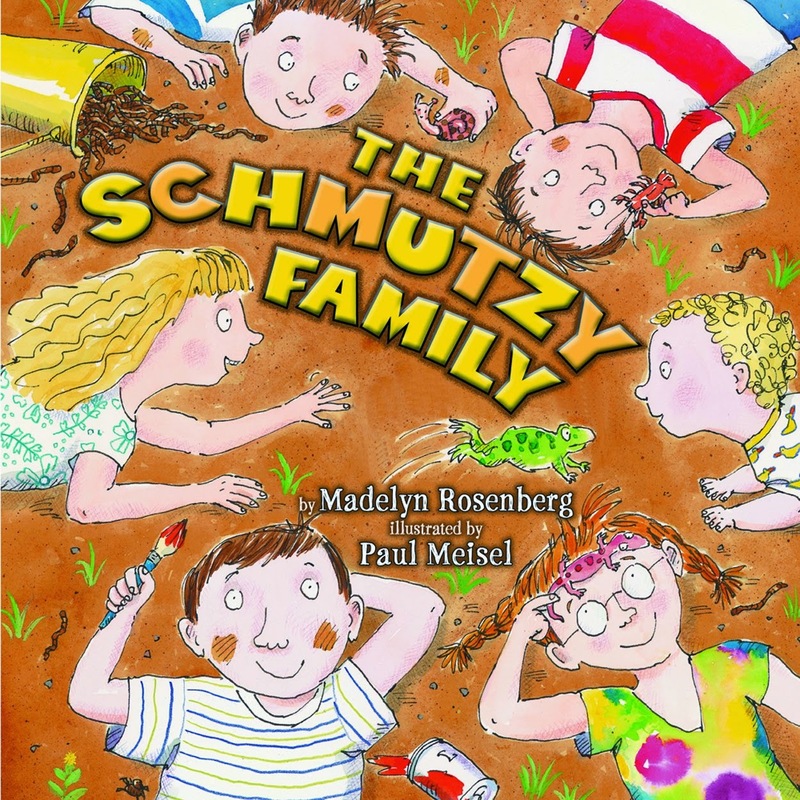 Both books explore brother-sister relationships, and in both, the older sibling is a slightly bossy sister. I, myself, am a slightly bossy older sister. I’m sure that’s just a coincidence. I think school libraries are like the transporter room on the Enterprise. If you want to explore strange new worlds - and familiar worlds, too - this is where you start. 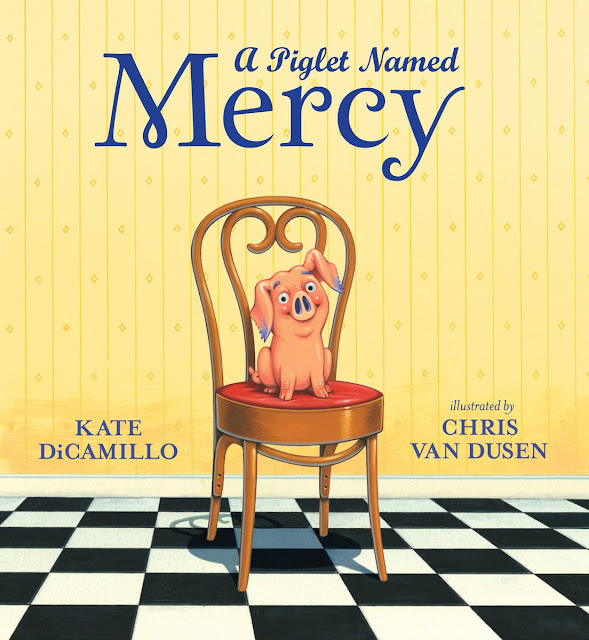 Picture books are the beginning. Reading is the answer, along with love (with a tip of my fancy, tea-party hat to John Lennon). Reading is also the thing that calms me down when I’m stressed out. In cases of Supreme Stress, I head straight for an old stack of Nancy Drews. Reading de-stresses my kids, too. When my son was in preschool, some parents packed stuffed animals for those moments of upset. I packed books. I love how reading can be both intensely personal and something that you share. We do a lot of reading out loud as a family. Mr. Schu, you should have asked me… How I got over my fear of public speaking. The answer would be that I didn’t, exactly, but that I’m much less afraid than I used to be because before I started making classroom visits, I took an improv class. The class was held at a comedy club not far from my house, and it was one of the best things I’ve done for myself as an adult. Improv taught me to think faster and to go with the flow. It also taught me that it’s okay to be ridiculous. Or an angry antelope. Whichever comes first. Thanks so much for these questions, Mr. Schu! And for all that you do every day! I hope you’ve gotten your library records back in order. I am giving away one copy of How to Behave at a Tea Party. 1. It will run from 9/26 to 11:59 p.m. on 9/28. 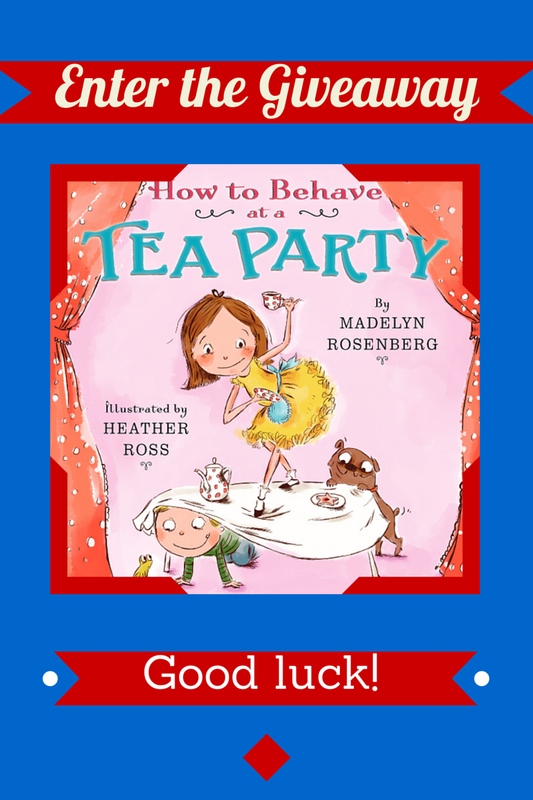 Borrow How to Behave at a Tea Party from your school or public library. Whenever possible, please support independent bookshops. Thanks so much for letting me finish your sentences. Fun hanging out here today! These books ALL look great and I totally enjoyed the trailers. What is it with little girls and tea parties? :D Thanks for the interview and the giveaway, John and Madelyn!